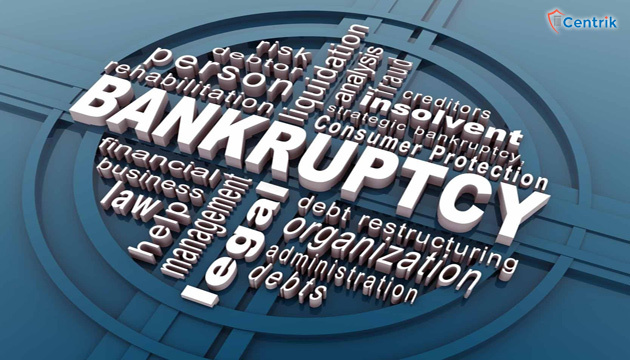 The Insolvency and Bankruptcy Code, 2016 (IBC) has consolidated and amended the laws relating to reorganization and insolvency of corporate persons, partnership firms and individual firms. The sole intention of this legislation is to facilitate resolution of corporate bankruptcy and recovery of bad debts in a time bound manner. The IBC has introduced new and distinct concepts of ‘Financial Creditor’ and ‘Operational Creditor‘ as opposed to the Companies Act, 2013 which merely introduced the term ‘creditor’, without any classification thereof. Today, the maintainability of applications for initiating corporate insolvency resolution process chiefly depends on the applicant first satisfying the Tribunal that it falls either within the definition of ‘Financial Creditor’ or ‘Operational Creditor’ under the IBC. In this article, we are particularly discussing the Order dated 20th February 2017 passed by the Hon’ble National Company Law Tribunal, Principal Bench, New Delhi in Col. Vinod Awasthy v. AMR Infrastructure Limited whereby the Hon’ble Tribunal interpreted the definition of ‘Operational Creditor’ under the IBC to ascertain the applicability of the same to a flat purchaser. “a person to whom a financial debt is owed and includes a person to whom such debt has been legally assigned or transferred”. In order to ascertain whether a person is a financial creditor, the debt owed to such a person must fall within the ambit a ‘Financial Debt‘ as under Section 5(8) of the IBC. “any person to whom an operational debt is owed and includes any person to whom such debt has been legally assigned or transferred”. In order to ascertain whether a person would fall within the definition of an operational creditor, the debt owed to such a person must fall within the definition of an operational debt as defined under Section 5(21) of the IBC. “a claim in respect of the provisions of goods or services including employment or a debt in respect of the repayment of dues arising under any law for the time being in force and payable to the Central Government, any State Government or any local authority“. The Hon’ble Tribunal held that the Petitioner had neither supplied goods nor had rendered any services to acquire the status of an ‘Operational Creditor’. It was further held that it was not possible to construe Section 9 read with Section 5(20) and Section 5(21) of the IBC so widely to include within its scope, cases where dues were on account of advance made to purchase a flat or a commercial site from a construction company like the Respondent especially when the Petitioner had other remedies available under the Consumer Protection Act and the General Law of the land. In order to succeed in initiating corporate insolvency resolution process against a debtor, it is sine qua non to prove that the creditor falls within the ambit and scope of the definition of either ‘Financial Creditor’ under Section 5(7) or ‘Operational Creditor‘ under Section 5(20) of the IBC. From the case law discussed above, it is evident that the Tribunals are stringent in construing definition of ‘Operational Creditor’ under the IBC and are refraining from entertaining applications wherein the applicants are not strictly falling within the scope of the IBC and have alternate effective remedies available. Debt recovery has become necessary because money is hard earned and a debtor has no right over it. The NCLT has taken the right step towards a debt free market, the only need of the hour is to continue improving and implementing these laws in an effective manner.